At least 15 people have filed complaints about the smell. Kylie Jenner's cosmetic company just keeps on going from strength to strength. Not only has she just launched a huge Valentine's Day collection, but her first pop-up shop in California was so successful that she is opening another one in New York City. But according to TMZ, not everyone is loving Kylie Cosmetics. In fact her Royal Peach Eyeshadow palette is literally causing quite the stink. The Better Business Bureau has received at least 15 complaints within the last two weeks from customers claiming they purchased the palette and it smelled of "chemicals and glue." Unhappy customers have described the scent as "spray paint" and "paint thiner," with one customer complaining it smelled so bad she had to leave the package outside her house, and another reporting "a horrible headache" after using. 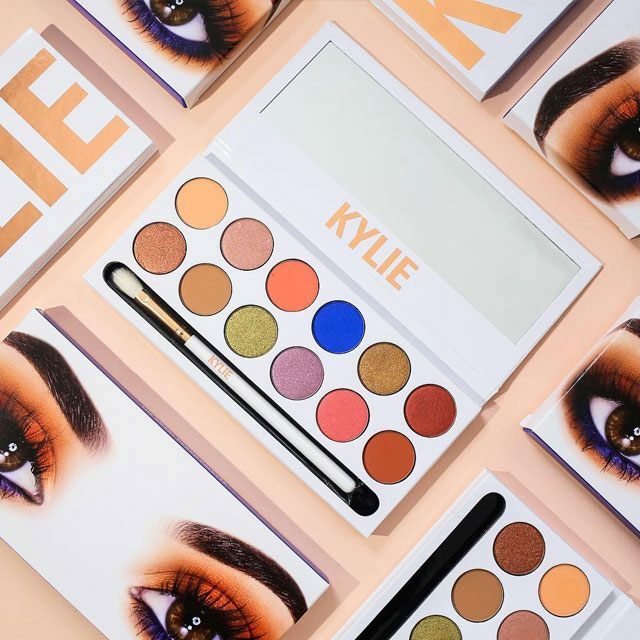 The BBB reports that Kylie Cosmetics launched an immediate investigation following the complaints, and it was found to be an adhesive in the packaging that was causing the smell, with Kylie Cosmetics insisting that the palette is safe to use. TMZ has reached out to Kylie Cosmetics but have received no word back yet.